Perth-based A & J Stephen joins the ranks of other UK ‘five star’ companies following extension of the initiative north of the border in November last year. 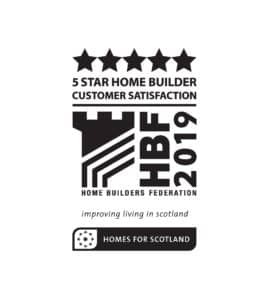 Nicola Barclay, Chief Executive of industry body Homes for Scotland, which was behind the move said, “We talk a lot about the need to deliver more housing, but we also want to focus on the importance of ensuring a high-quality home for each and every purchaser. This is exactly the aim of the Survey, with the ratings based on whether buyers would recommend their builder to a friend. And, encouragingly, at 87 per cent, levels are up across the UK on last year. 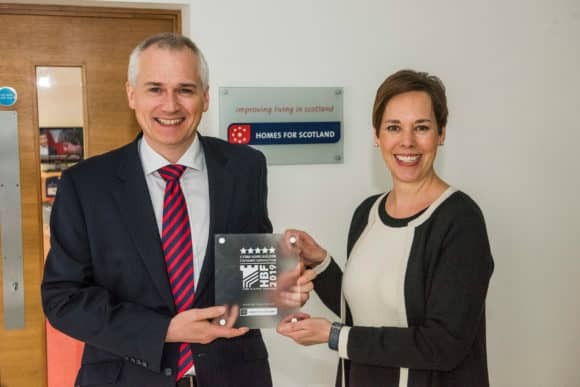 John Stephen, Director at A & J Stephen added, “As a family firm based in Perth for over 80 years, our reputation is everything and we are delighted to have received this recognition from those who matter most – the clients who choose to invest in a Stephen home. A&J Stephen is currently building across Scotland, with developments in Perthshire, Grampian, Fife and the Highlands.